JOHN "JD" Dillon grew up with no father figure. When he was two years old, his biological father took his own life. His mother remarried an alcoholic, who gambled away the family's savings before leaving. It was the 1930s. With little support, JD's mother couldn't afford to keep him and he was sent to live in an orphanage for the next three years. During those years, what JD wanted most in life was his own family. 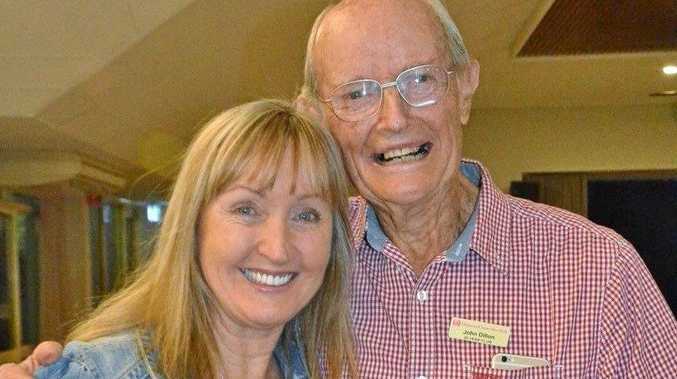 Now 91 years old, JD's story has a happy ending, with his wife Lillian Duke and three children living on the Sunshine Coast for 45 years. 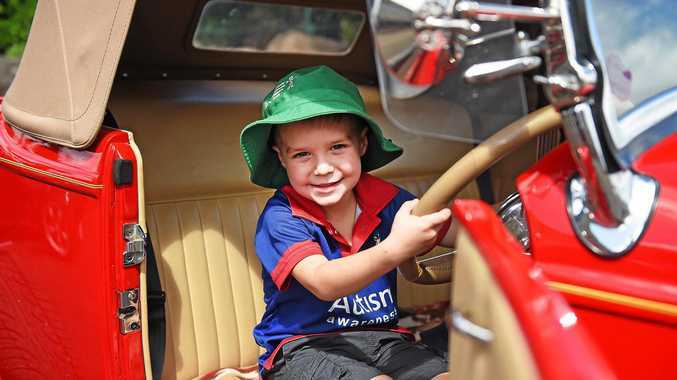 The Buderim resident has been declared the 2017 Sunshine Coast Father of the Year, an honour that put him in the running for the Queensland Father of the Year award. "Children often become what they see," he said. "It's important for fathers to set a good example and hope their children follow their lead. "In my case, the opposite happened - I had no role model to aspire to as a young boy, but I could see very clearly what I didn't want." His traumatic childhood pushed him to enjoy his life as a family man, after he fell in love with and married Lillian, the secretary at the motorcycle shop where he worked as a young man. "I became an involved father, but set clear boundaries and was rewarded by the fact they grew up to be great children and now adults," he said. Now with five grandchildren and one great-grandchild, JD is still active in the community, volunteering his time with Rotary, Men's Shed and Riding for the Disabled every week. JD is currently overseas, building a community centre in the Solomon Islands as part of his work with Rotary. His daughter Sandy Forster nominated him for the Father of the Year award, after realising how much support he had given her, her whole life. "When your dad's your dad, you just think that's how dads are," Mrs Forster said. "But looking at other families and seeing good dads, bad dads and everything in between, I realised how amazing my dad actually is. "He's 91, and he's just so helpful and involved." After raising the young children in Victoria, JD and Lillian sold their house in the 1970s and used half the money to travel around the world as a family for eight months. Mrs Forster, who was 15 years old at the time, said the experience had brought them even closer and helped educate the children. "Travel is a great way to connect because you're with each other a lot," she said. "I think travel really opens your eyes, and it makes you realise how lucky you are." When they returned, they settled on the Sunshine Coast, and Mrs Forster said JD had continued to always make an effort with her and her siblings. "After work, he was always there to read us stories or play in the backyard," she said. "On the weekends, we always did things together as a family. "I just remember him always being there. "We had some great times growing up." Her mother Lillian died about four years ago, but Mrs Forster remains close to her father, who lives just five minutes away from her home. She said he came to visit every few days to help around the house and yard. "People say, yes, he's a gentleman, but he's also a gentle man," she said. "He's just a really lovely person, and I feel really lucky I've got a dad like him."